Is this your experience of using macOS? Google suggests it is. Tensions between Google and Apple may have cooled since Steve Jobs declared “thermonuclear war” on the search giant, but that doesn’t mean hostilities have ceased altogether. In its latest Chromebook commercial, Google fires shots at both Apple and fellow tech giant Microsoft. 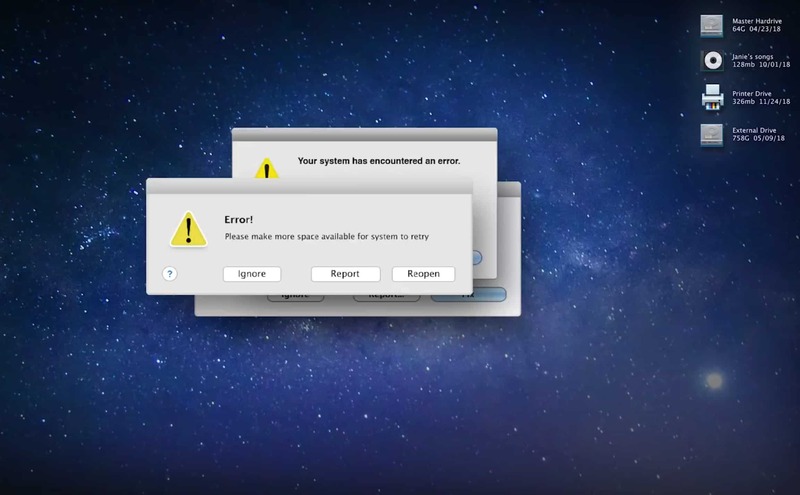 Both companies are mocked for the error messages their operating systems supposedly bombard customers with, and more. Chromebooks, on the other hand, represent, “a laptop you can count on.” Check the ad out below. According to Google, Chromebook sales have grown by 70 percent in the U.S. over the last year alone. To compete with the ultra low-cost laptops, Microsoft is supposedly working on its own rival. Apple, on the other hand, is firmly sticking to its premium pricing — and it’s unlikely that a bit of goading from Google will change that. Rather than running macOS or Windows, Chromebook’s run Google’s proprietary operating system, Chrome OS. As the new Google ad suggests, this can lead to a cleaner interface than some more traditional laptops. However, the downside is the fact that it means virtually everything you do has to be done through Google’s own suite of apps — which also means a functioning internet connection. Google’s not the only company to poke fun at Apple in one of its recent ads. Samsung has long taken shots at Apple in its ads. Most recently, this has gone into overdrive with commercials ripping various aspects of the iPhone — possibly to make up for weak sales of the Galaxy S9. Do you think Google has a point with its mockery of macOS? Is this just an example of a company trying to make a name for itself, without factual basis for its criticism? Let us know your thoughts in the comments below.